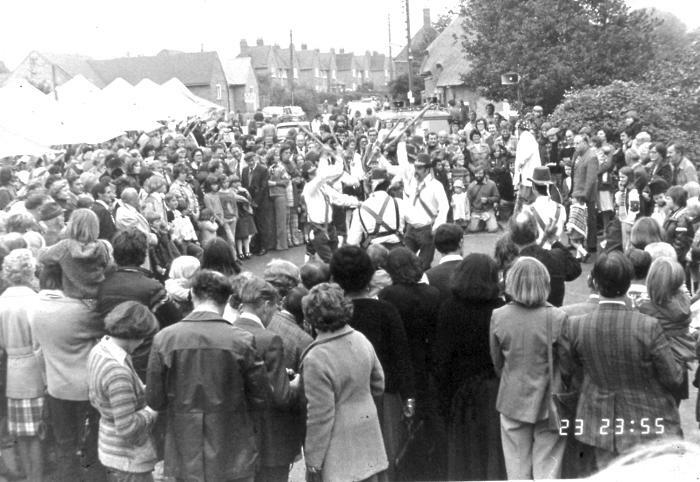 The whole essence of the Sherington Feast was to celebrate the coming of Winter, the change over from the easy living on Summer food to a more frugal diet of Winter food. 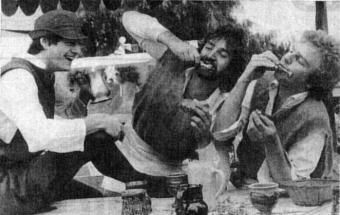 The Feasts were held on the weekend closest to the 11th of October. But there was some initial conflict here because September 22nd is St. Laud's day and some thought that this was the right time to celebrate. The feasts were a continuation possibly from medieval times when the prospect of hard winter times inflicted a necessary change of diet to harsher food that could be stored for longer periods, rather than the softer more palatable Summer fruits and vegetables. The early 1900s saw the continuation of the celebration slowly fall into a mockery of the former feasts' importance. It became just another day village life with few people knowing its real significance. And so it died completely in the years between the two world wars. It was unimportant in its original context as the whole way of life of country folk had changed to a great extent. 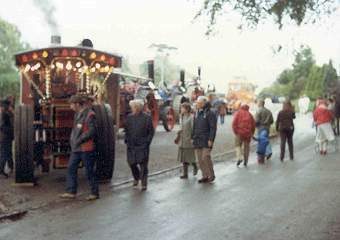 The feasts were revived in 1977 by a new set of Sheringtonians who thought the old traditions should not be allowed to disappear completely and they had the drive to organise this event on a village scale, even if the resurrection was in a different format and the significance was just to celebrate the friendly warmth of village life. 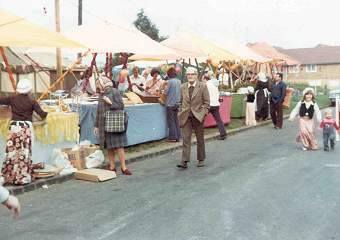 Feasts were held in the years 1977, 1978, 1979 and 1981 (but not 1980). 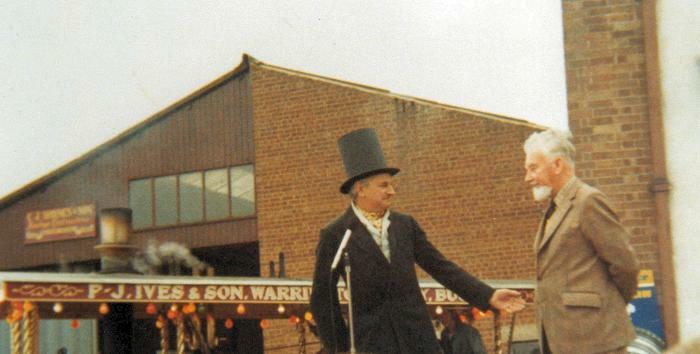 The following quotation by Peter Gardner comes from the introductory page of the Sherington Feast Souvenir Programme of 1977, the first revival year, when it was opened by Jack Ivester Lloyd (see photo below). Sherington feast! 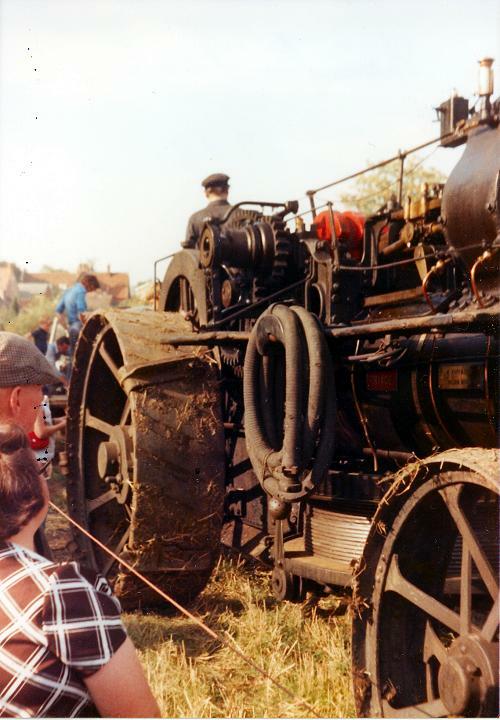 What excitement and what merrymaking it must have caused for young and old alike. 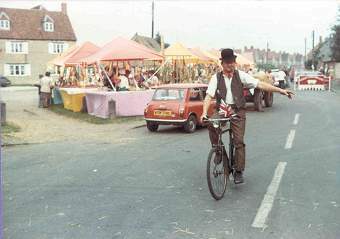 Stalls and sideshows in the paddock and down the high Street, swing boats on the knoll, four pubs open in the village. All these added up to a jolly good night out for fourpence. A hundred years or so ago village people did not travel very much, the "telly" was blissfully absent and newspapers or broadsheets were of little use (at any rate for their intended purpose.) as many people could not read. All these things made the feast so very important. It was one of the few highlights of the year and was very personal to the village because of its close association to the church, for in each village a feast was held in commemoration of the patron saint of the church, in this case, St. Laud. St. Laud's day is September 22nd but in the old days the was held was around October 11th this discrepancy of dates can be attributed in part to the reformation of the calendar in 1740 when the date was moved by eleven days. But this does not fully explain the difference. In this revival year, September 24th has been chosen because it is the nearest to St Laud's Day. 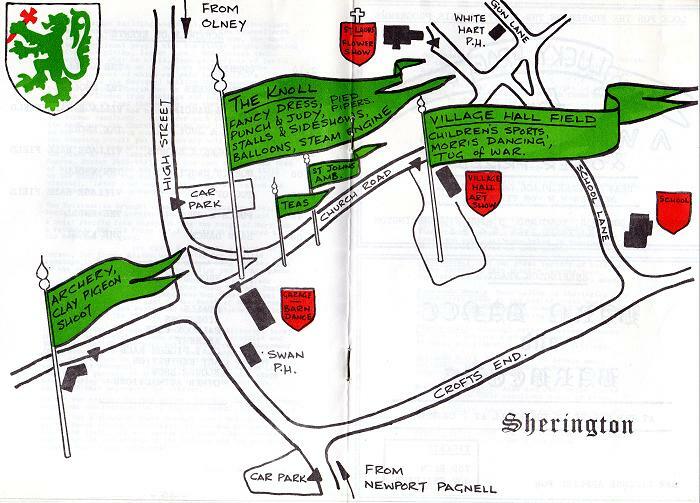 Fortunately there are still some people living in Sherington who remember Sherington Feasts and from these we have been able to glean a lot of very interesting and useful information. 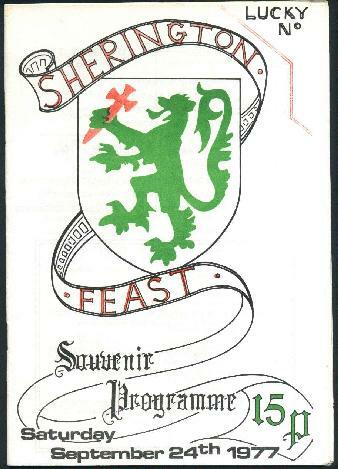 We cannot pinpoint the last year that the Feast was held but it was still going, though on a diminishing scale, after the 1914 - 18 war. 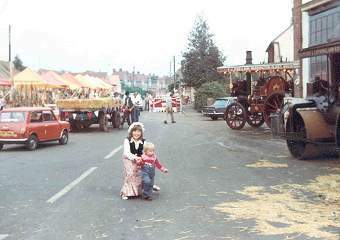 The old feasts were for fun (and for the benefit of the stall holders) but in Sherington, at any rate, it coincided with what might be called the end of the agricultural year. 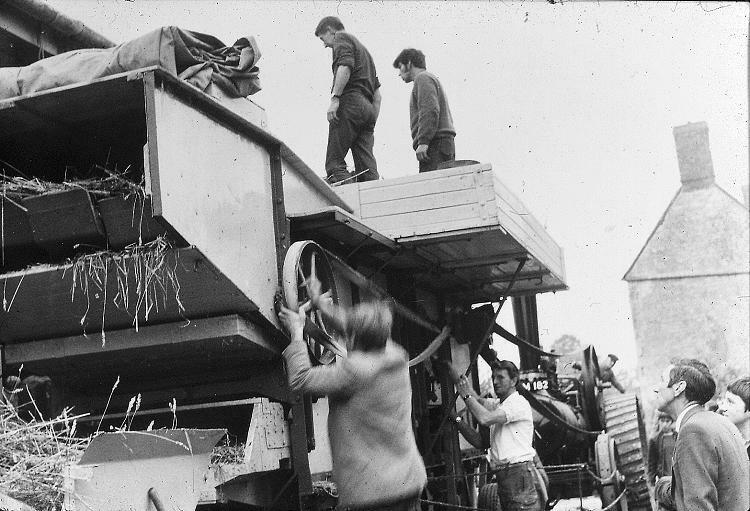 They occurred very close to harvest festival and although they were not thanksgivings for all the good things as harvest feastival (sic) is, no doubt the people felt they could relax for a while after a busy Spring, Summer and part of Autumn. 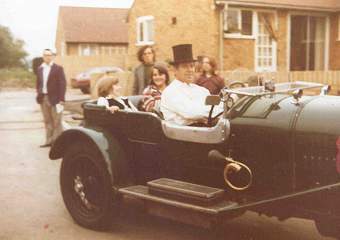 Although our way of life has changed somewhat over the years we want this year's Feast to be for fun. Fun for those who organise it and fun for those who come and join in. 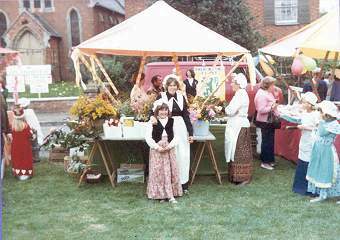 The following photos are from the Sherington Feasts held in the 1970's.